Deborah is an established professional in the residential real estate market whose resume includes transactions in both Massachusetts and SW Florida, including Cape Coral. 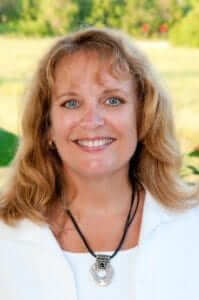 Deb works closely with clients who seek her knowledge of real estate trends and inventory. Known for her personal attention to detail, intense dedication, constant follow up, and insight, Deb is focused on identifying and fulfilling the needs of her clients. In addition to matching buyers and sellers, she continually receives referrals from her long list of satisfied clientele and colleagues. To stay on top of the ever-changing real estate market, Deb stays on top of current industry best practices through continuing her education. She has earned her CRS (Certified Residential Specialist), ABR (Accredited Buyer’s Representative), and GRI (Graduate Real Estate Institute) designations. She has been certified as an SRES (Seniors Real Estate Specialist), an e-PRO (Internet Specialist), SFR (Short Sale and Foreclosure Resource), and was one of the first 100 Realtors in the country to earn her RSPS (Resort and Second Property Specialist) designation.